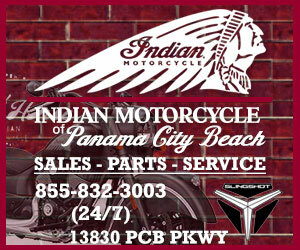 In addition to the local motorcycle dealerships our area also has several local independent bike shops to get you taken care of while you are in town for the rally. Each one offers everything from basic services, performance upgrades, parts, and accessories to some of the finest all out custom builds and paintwork you will see anywhere! 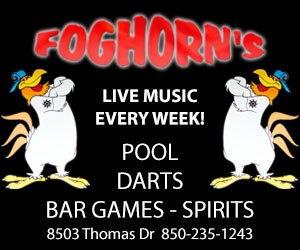 Be sure to make a stop at these locations if you need service or are thinking about getting custom work done. 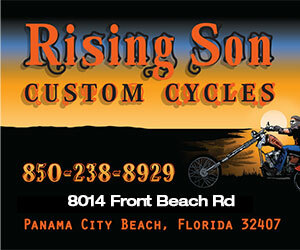 A special note: When our map was printed in the Spring Rising Son Custom Cycles was just about to make a move. 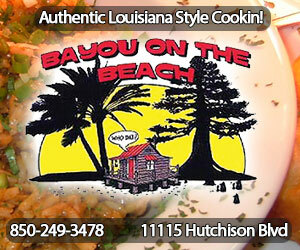 Their new location is 8014 Front Beach Rd. 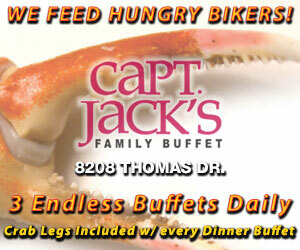 which is just West of the Hathaway bridge. 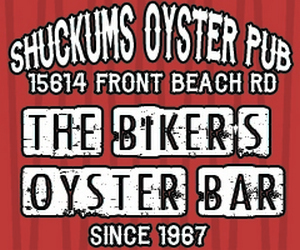 Southern Iron Kustoms is the Beaches #1 independent bike shop. 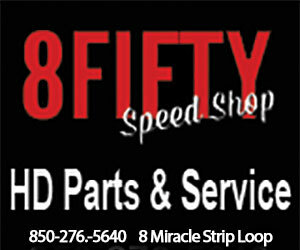 We specialize in Harley Davidson parts and service. 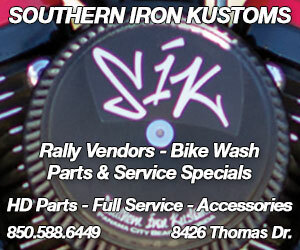 SIK is your premier custom builder, from Flat-heads to Big Wheel Baggers and Trikes.